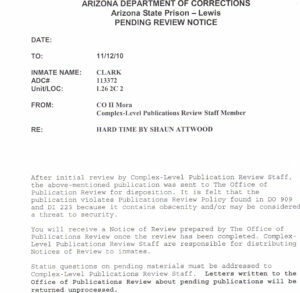 After a SWAT team smashed down stock-market millionaire Shaun Attwood’s door, he found himself inside of Arizona’s deadliest jail and locked into a brutal struggle for survival. Shaun’s hope of living the American Dream turned into a nightmare of violence and chaos, when he had a run-in with Sammy the Bull Gravano, an Italian Mafia mass murderer. In jail, Shaun was forced to endure cockroaches crawling in his ears at night, dead rats in the food and the sound of skulls getting cracked against toilets. He meticulously documented the conditions and smuggled out his message. Join Shaun on a harrowing voyage into the darkest recesses of human existence. 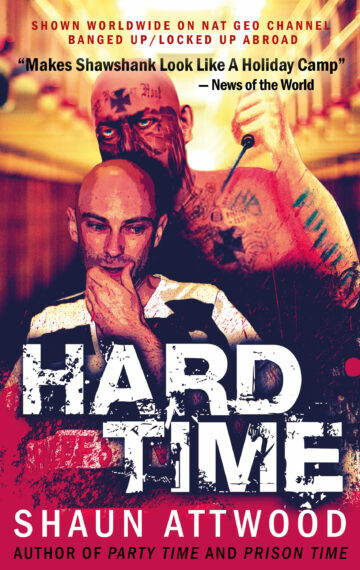 HARD TIME provides a revealing glimpse into the tragedy, brutality, dark comedy and eccentricity of prison life. Featured worldwide on Nat Geo Channel’s Locked-Up/Banged-Up Abroad Raving Arizona. Sleep deprived and scanning for danger, I enter a dark cell on the second floor of the maximum-security Madison Street jail in Phoenix, Arizona, where guards and gang members are murdering prisoners. Behind me, the metal door slams heavily. Light slants into the cell through oblong gaps in the door, illuminating a prisoner cocooned in a white sheet, snoring lightly on the top bunk about two thirds of the way up the back wall. Relieved there is no immediate threat, I place my mattress on the grimy floor. Desperate to rest, I notice movement on the cement-block walls. Am I hallucinating? I blink several times. The walls appear to ripple. Stepping closer, I see the walls are alive with insects. I flinch. So many are swarming, I wonder if they’re a colony of ants on the move. To get a better look, I put my eyes right up to them. They are mostly the size of almonds and have antennae. American cockroaches. I’ve seen them in the holding cells downstairs in smaller numbers, but nothing like this. A chill spreads over my body. I back away. Something alive falls from the ceiling and bounces off the base of my neck. I jump. With my night vision improving, I spot cockroaches weaving in and out of the base of the fluorescent strip light. Every so often one drops onto the concrete and resumes crawling. Examining the bottom bunk, I realise why my cellmate is sleeping at a higher elevation: cockroaches are pouring from gaps in the decrepit wall at the level of my bunk. The area is thick with them. Placing my mattress on the bottom bunk scatters them. I walk towards the toilet, crunching a few under my shower sandals. I urinate and grab the toilet roll. A cockroach darts from the centre of the roll onto my hand, tickling my fingers. My arm jerks as if it has a mind of its own, losing the cockroach and the toilet roll. Using a towel, I wipe the bulk of them off the bottom bunk, stopping only to shake the odd one off my hand. I unroll my mattress. They begin to regroup and inhabit my mattress. My adrenaline is pumping so much, I lose my fatigue. Nauseated, I sit on a tiny metal stool bolted to the wall. How will I sleep? 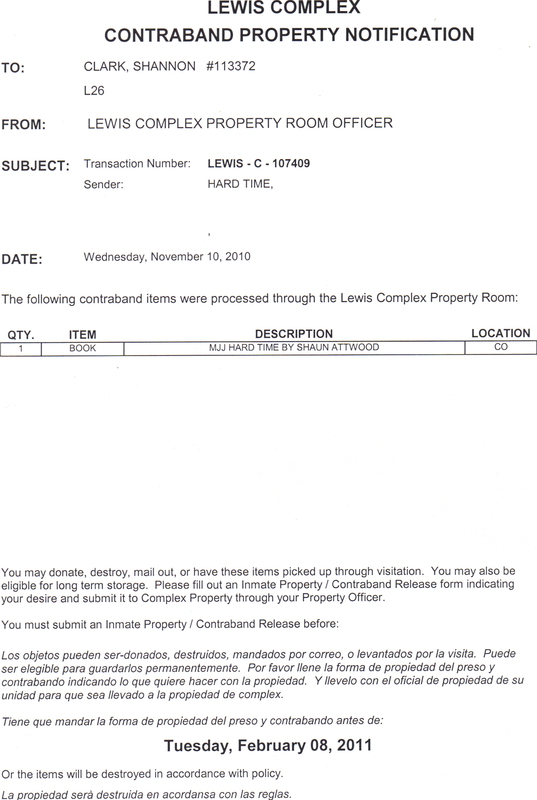 How’s my cellmate sleeping through the infestation and my arrival? Copying his technique, I cocoon myself in a sheet and lie down, crushing more cockroaches. The only way they can access me now is through the breathing hole I’ve left in the sheet by the lower half of my face. Inhaling their strange musty odour, I close my eyes. I can’t sleep. I feel them crawling on the sheet around my feet. Am I imagining things? Frightened of them infiltrating my breathing hole, I keep opening my eyes. Cramps cause me to rotate onto my other side. Facing the wall, I’m repulsed by so many of them just inches away. I return to my original side. The sheet traps the heat of the Sonoran Desert to my body, soaking me in sweat. Sweat tickles my body, tricking my mind into thinking the cockroaches are infiltrating and crawling on me. The trapped heat aggravates my bleeding skin infections and bedsores. I want to scratch myself, but I know better. The outer layers of my skin have turned soggy from sweating constantly in this concrete oven. Squirming on the bunk fails to stop the relentless itchiness of my skin. Eventually, I scratch myself. Clumps of moist skin detach under my nails. Every now and then I become so uncomfortable, I have to open my cocoon to waft the heat out, which allows the cockroaches in. It takes hours to drift to sleep. I only manage a few hours. I awake stuck to the soaked sheet, disgusted by the cockroach carcasses compressed against the mattress. The cockroaches plague my new home until dawn appears at the dots in the metal grid over a begrimed strip of four-inch-thick bullet-proof glass at the top of the back wall – the cell’s only source of outdoor light. They disappear into the cracks in the walls, like vampire mist retreating from sunlight. But not all of them. There were so many on the night shift that even their vastly reduced number is too many to dispose of. And they act like they know it. They roam around my feet with attitude, as if to make it clear that I’m trespassing on their turf. 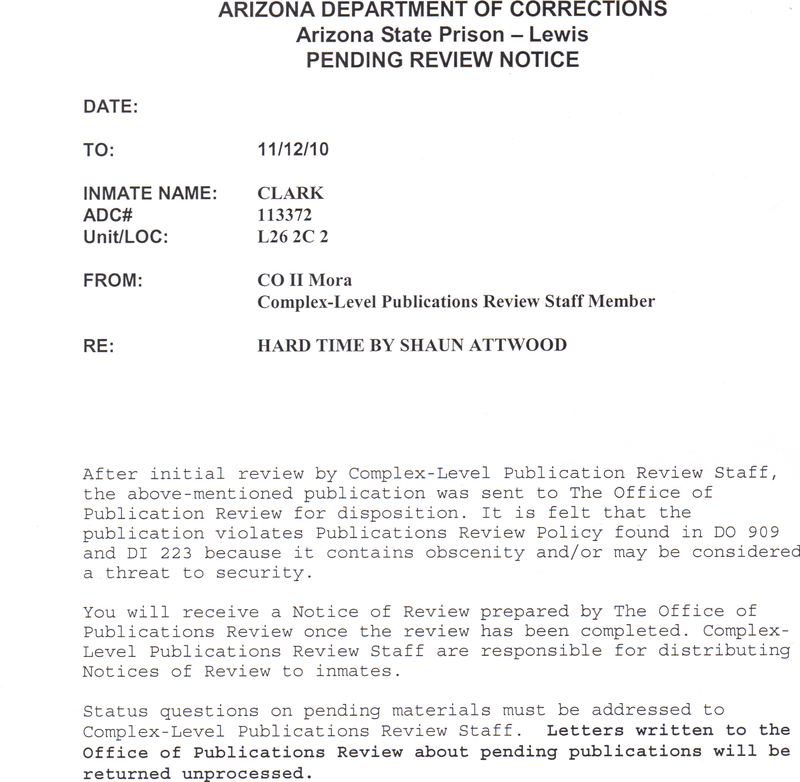 The Arizona Department of Corrections classified Hard Time as a threat to the security of the institution, and repelled Shaun’s multiple attempts to get it inside to his prison friends. He even photocopied the whole thing, took the title page out, and had an American friend mail it from Pennsylvania, but it was detected. 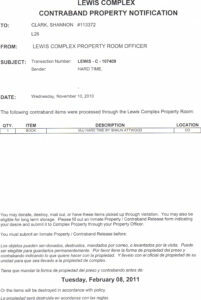 Below are the forms served to inmate Shannon Clark who the prison refused to allow copies of Hard Time shipped from Amazon.